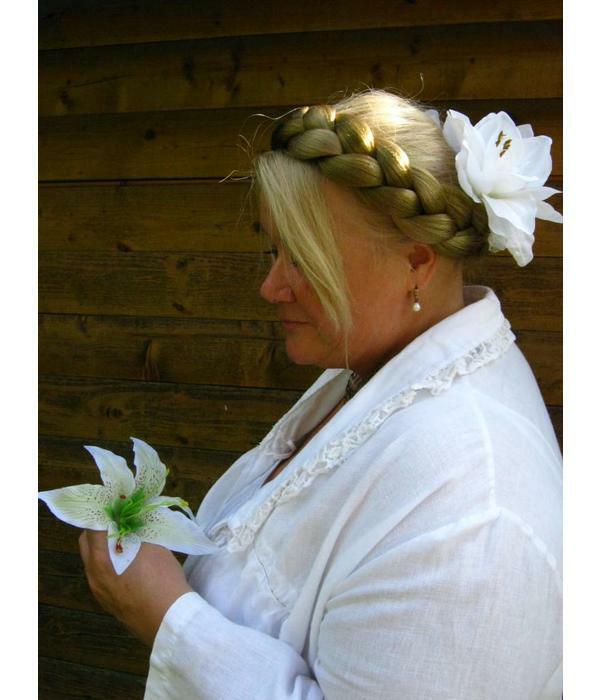 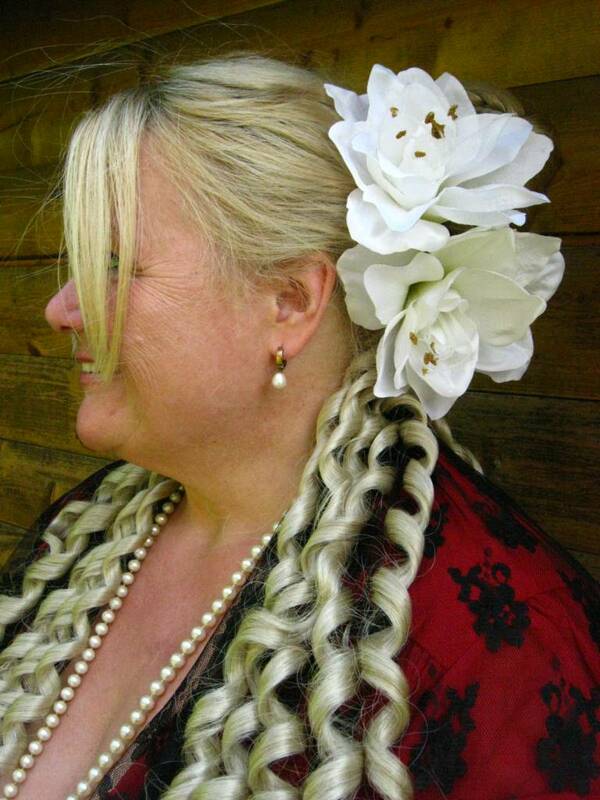 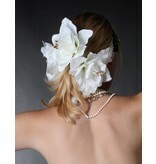 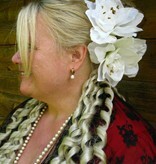 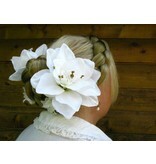 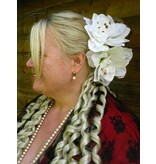 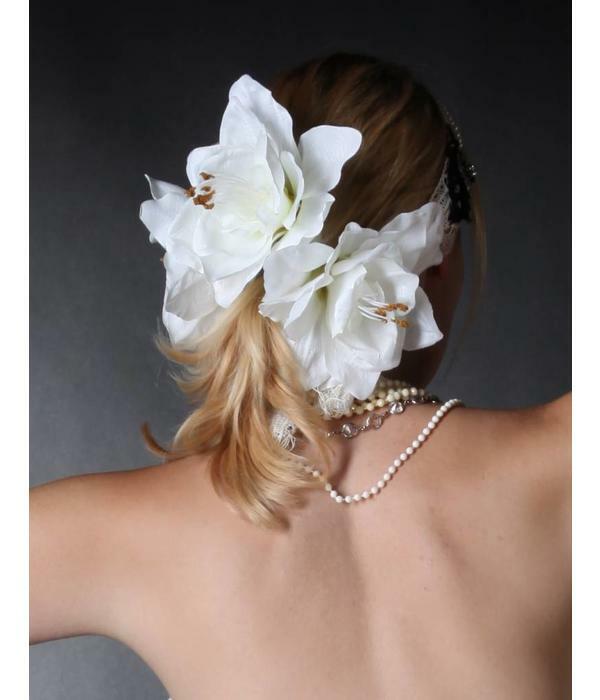 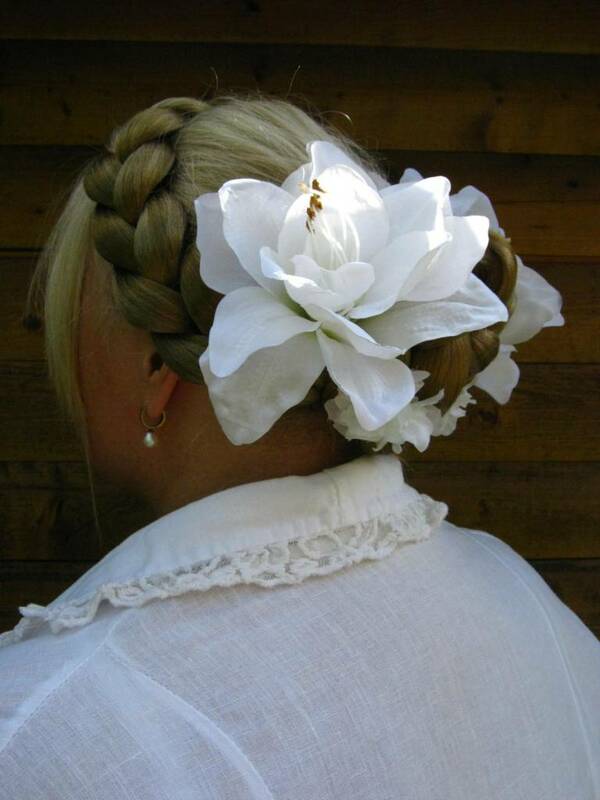 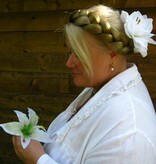 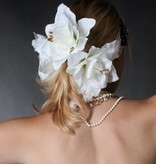 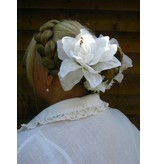 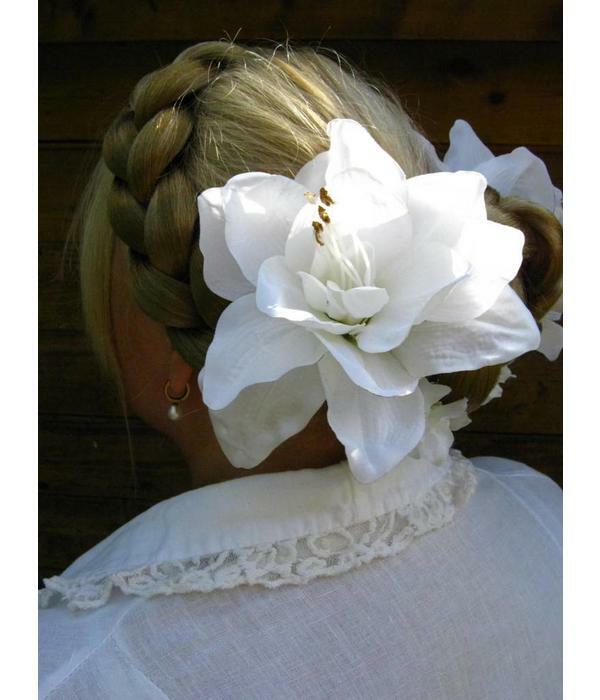 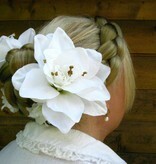 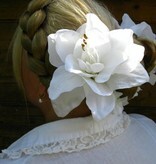 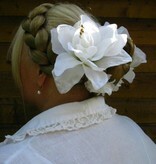 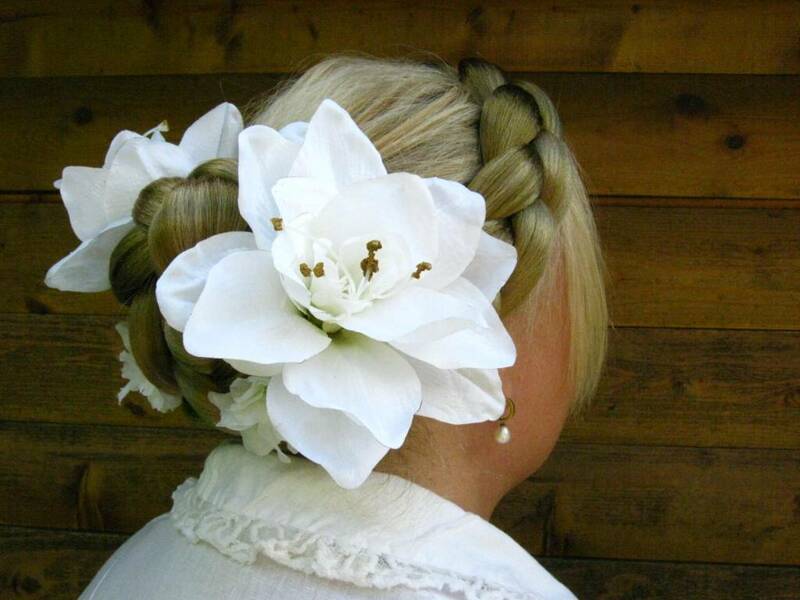 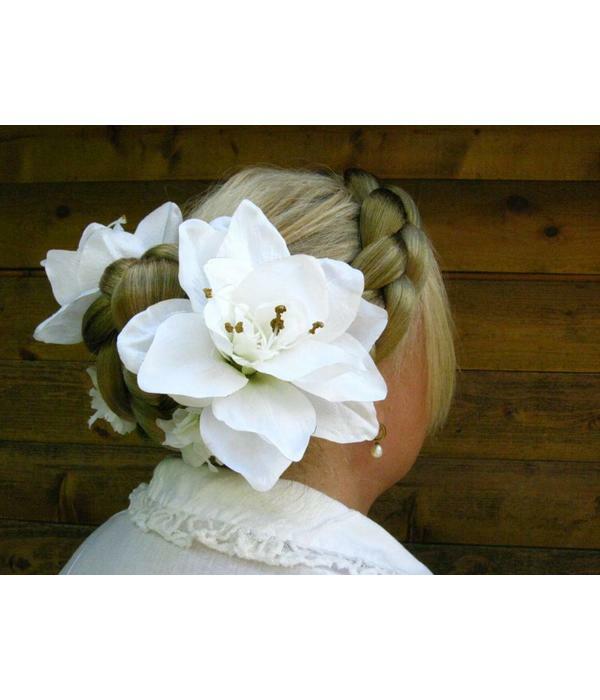 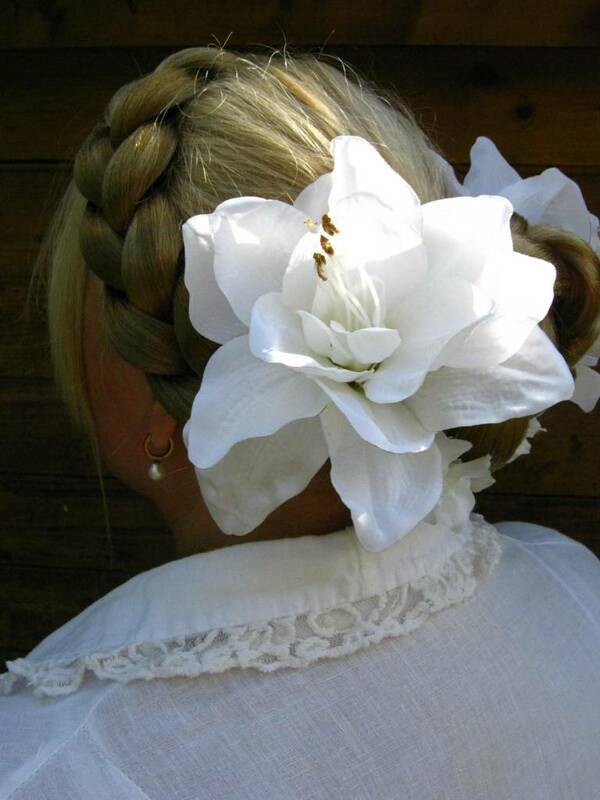 2 flower hair clips/ hair flowers with 1 large white amaryllis each, attached to professional metal hair clips for very strong hold (minimum hair length: 5 cm/ 2 inches). 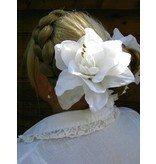 Size: about 15 cm/ 6 inches diameter. 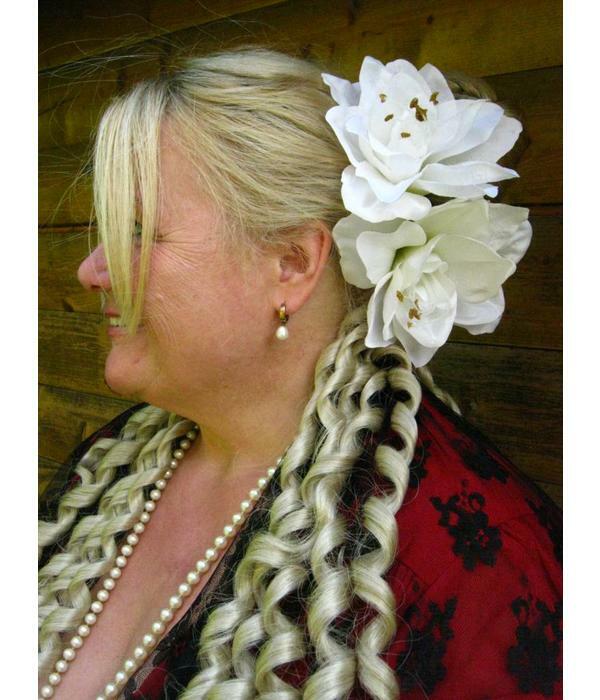 Amryllis match many styles and are wonderful for formal occassions like proms and weddings and for alternative outfits like fantasy, tribal fusion belly dance, boho & gipsy style and Goth & cyber looks, too! 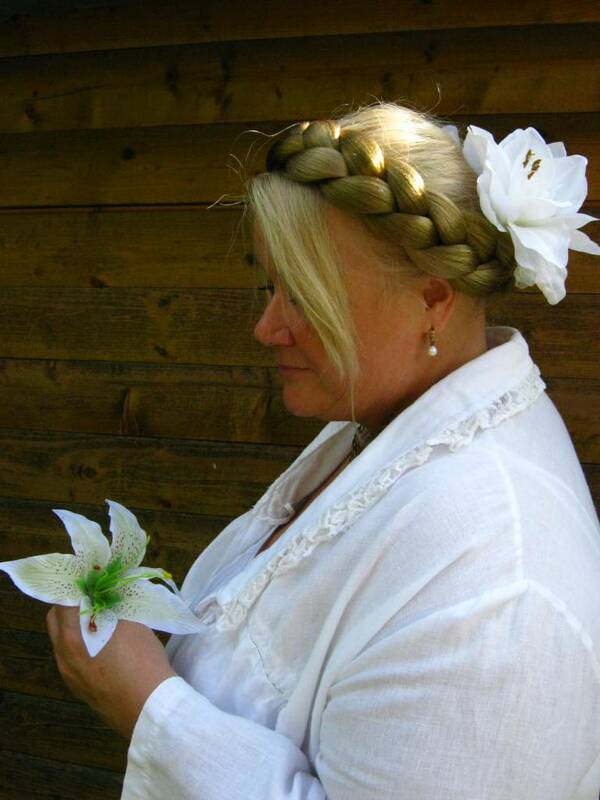 Sehr edel die weiße Amaryllis. 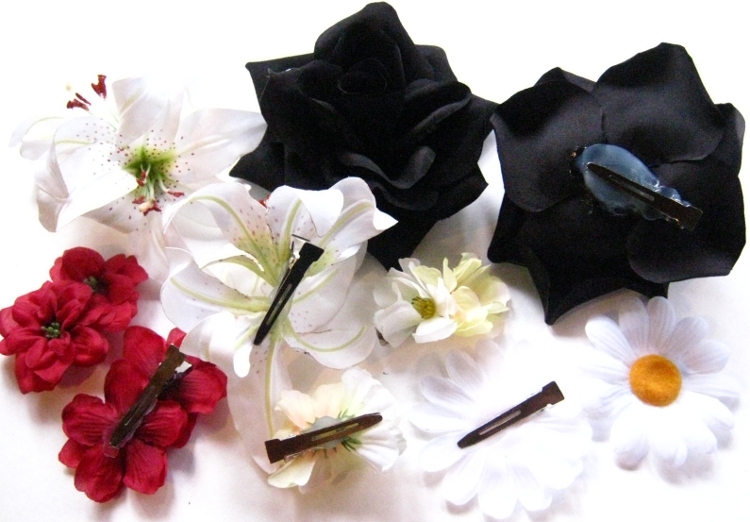 Passt gerade perfekt zu meinen schwarz\weiß Hüfttüchern.